LISTEN TO ROBERT SHILLER NOW! In the past twenty years there has been a revolution in economics with the study not of how people would behave if they were perfectly rational, but of how they actually behave. At the vanguard of this movement is Robert Shiller of Yale University. He sits down with Nigel Warburton in this episode of the Social Science Bites podcast. 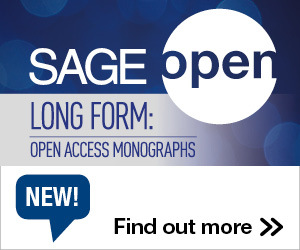 Social Science Bites is made in association with SAGE. David Edmonds: OK,you’ve got a choice, buy this plastic alarm clock right next to where you are standing for $28 or walk ten blocks and buy it in another shop for half price; $14. Now try this one, buy a laptop for $1995 in the shop next to you or walk ten blocks and get it for $1981. Well chances are you are more likely to walk to save money on the cheap clock then the expensive laptop, which is odd because in either case you could save exactly the same amount of money. In the past twenty years there has been a revolution in economics with the study not of how people would behave if they were perfectly rational, but of how they actually behave. 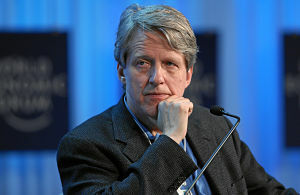 At the vanguard of this movement is Robert Shiller of Yale University. Nigel Warburton: Robert Shiller welcome to Social Science Bites. Nigel Warburton: The topic we are going to focus on is behavioral economics. Now we know roughly what economics is, but what’s behavioral economics? I think that the economics profession suffers from physics-envy. I really do. We all wish we could be Einstein. Robert Shiller: Well the word ‘behavioral’ refers to the introduction of other social sciences into economics: psychology, sociology, and political science. It’s a revolution in economics that has taken place over the past twenty years or so. I think it’s bringing economics into a broader appreciation of reality. Economics was actually more behavioral fifty or a hundred years ago. At Yale University where I work, 1927 was the year where the department of economics, sociology and government was split into three separate departments and they moved us all apart. Nigel Warburton: Why would it matter if they just split the departments up, I mean there’s an argument that specialization actually allows people to progress further in their field – rather then knowing a little bit about everything. Robert Shiller: Absolutely. There are both advantages and disadvantages of this structure. The advantage is that we develop mathematical economics and mathematical finance to a very advanced level – and it’s useful: we have option pricing theory that is very subtle and allows complex calculations that have some relevance to understanding these markets. But it loses perspective on why we have these options anyway. It offers a justification typically that involves rational behavior. You can get into the swim of that, thinking ‘I want to know why smart people use options’ And it’s instructive to go through the exercise of thinking ‘is it really ever right to buy these investment products?’ But that doesn’t mean that you’re answering the question why people really do buy options and why this market exists and why other markets that sound equally plausible don’t exist. Nigel Warburton: So what you’re saying is that traditional economics has focused on a kind of ideally rational individual: what would they do if they behaved in their own best interests based on the information available? But behavioral economics brings in the fact that we don’t always behave in our own best interests. Robert Shiller: That’s right; well conventional economics misrepresents what our best interests are. A great example is the financial crisis that began in 2007. The way it began is home prices started falling rapidly. Many people had committed themselves to mortgages and now the debt was worth more then the house was worth,they can’t come up with the money to payoff the mortgage and so it kind of lead to a world financial crisis. So why did that happen? Conventional economics theory can’t seem to get at the answer, which I would say is, we had a speculative bubble driven by excessive optimism, driven by public inattention to risks of such an eventuality. And errors in managing the mortgage contracts that were made. There are no errors in conventional economics: it’s all rational optimization. Nigel Warburton: Well let’s take the optimism that you described: lots of people were incredibly optimistic about the never-ending increase in house prices. There’s a sense that they are just ignoring past oscillations.Is that a basic trait in human beings that we are particularly optimistic: when we see things getting better we think they are always going to get better? Or is it something very specific to this case? Robert Shiller: It’s always more specific to the case; it depends on framing how you think about the problem. Kahneman and Tversky, who were two psychologists, very important in behavioral economics, talked about the so-called ‘representativeness heuristic’. We tend to look for patterns in the data that we think are representative of history. And we have salient images of things that happened- like home prices always going up, it’s always gone up in our lifetime. You might look for some break because you also have another model in your mind, which is 1929, and the stock market crash. So you have people looking for these patterns; while home prices were going up and up it just seemed like anyone who raised the observation that they might fall just didn’t seem intuitively plausible. Until they start falling! The other template that’s in their mind suddenly becomes real and then that causes a self-reinforcing drop. The amazing thing is that in the economics profession of twenty years ago or so there were no bubbles. Now people freely say ‘bubbles’ but it was one of those words that was considered unprofessional by economists because markets are smarter then any of us and anything that happens in the market has a rational explanation. Nigel Warburton: So, if we bring psychology back into economics with the current crisis, what particular light would psychology shed on that? I mean you talked about people’s optimism is it that there’s a kind of herd mentality and the markets mirror that? Or is something else going on? Robert Shiller: There’s a lot going on. It turns out that the human mind is very complicated. Economic theory likes to reduce human behavior to a canonical form, the structure has been, ever since Samuelson wrote this a half century ago, that people want to maximize their consumption. All they want to do is consume goods; they don’t care about anyone else. There’s neither benevolence nor malevolence. All they care about is eating or getting goods and they want to smooth it, they described it in terms of so-called utility functions through their lifetime and that’s it. That is such an elegant simple model, but it’s too simple and if you look at what psychology shows, the mind is the product of human evolution and it has lots of different patterns of behavior. The discoveries that psychologists make to economics are manifold. Nigel Warburton: One that I know you’ve discussed is this notion of fairness that might trump the economic rationality. Robert Shiller: A sense of fairness is a fundamental human universal. It’s been found in some recent studies that it even goes beyond humans, that higher primates do have some vestigial or limited understanding of fairness and equity. In terms of how the market responds to crises, economists assume that everything is done purely out of self-interest. And yet non-economists when we ask them about how things work, they have a totally different view. In one of my questionnaire surveys we asked something like this: if the economy were to improve what would your employer do? a) nothing – why should he help me just because the economy goes up? b) well the economy improves means the market for my services improves so my employer would realize out of self-interest that he would have to raise my wage in order to keep me. c) my employer is a nice person and he would recognize that he should share the benefits with his employees. I gave this question to both economists and non-economists. The economists all picked B, or most of them picked B! They think that market forces dominate. Whereas very few of the non-economists did: they thought either their employer was a bad guy which is A, or their employer is a nice guy, that’s C. So there’s a different worldview and I think that if people think that fairness is such an important thing in labor contracts then modelling the world as if it’s of total insignificance is wrong. Nigel Warburton: So doesn’t this just make everything much, much more complicated because you can’t reduce individuals then to some kind of cipher where they are simply maximizing their self-interest in terms of economic benefits? Robert Shiller: That’s why a lot of economists don’t like this. Maybe with some justification they’ll say that there’s too many details in this theory, you can explain anything with it. But I’m un-persuaded by that criticism because, first of all, we can work on this and study people more and understand what psychological principle is relevant. And secondly, it doesn’t help to have a theory based on wrong assumptions. Nigel Warburton: I can see this would work retrospectively because you’ve got much more of the data. But in terms of prediction it must be extremely difficult to know the features of psychology triggered by the particular situations that people find themselves in and how people are then going to react, not just individually, but on mass. Robert Shiller: This goes back to whether economics is a science or not. Alfred Marshall the great British economist of the turn of the last century said that economics can never be a science because it deals humans. For example predicting that crisis that started in 2007 most economists didn’t see it coming at all. And it seems to me that the fault was that they didn’t want to use their intuitive perceptions of how people are thinking; it seemed to me that something crazy was going on: we were in a housing bubble. But that term was proscribed in professional discussions, as that’s what the taxi driver says, that’s not professional, prove it! And I can’t prove it. I mean I can refer to survey data, but that’s not solid enough. Economists just sometimes don’t see the obvious, they don’t rely on mental faculties of human judgment that they have as well as not relying on a broader view of people that’s informed by psychological or sociological research. Nigel Warburton: Is that because economists tend to see themselves as ‘hard-scientists’, as appose to the wishy-washy soft end of social science. Robert Shiller: I think that the economics profession suffers from physics-envy. I really do. We all wish we could be Einstein. It’s too strong a model, we can’t all develop the theory of relativity. The world of people isn’t like that. When you look at what happens for example in a financial crisis, you’ve got to get immersed in a lot of detail. It doesn’t become understandable by abstract economic reasoning. This means you have to look at an impression of what’s driving people, what’s on their minds, what they don’t know, what the lawyers did with the contracts, what the people are assuming the government might do if such and such happens. It involves a lot of real world thinking which doesn’t fit with the Einstein model. Nigel Warburton: If I take your example of Einstein, what’s so amazing about Einstein was that he made a bold hypothesis that was then to some extent corroborated later. Couldn’t economists do that? I mean can’t you have a mathematically generated hypothesis and then it’s either proved to be correct or not? Robert Shiller That’s an interesting question and I’ve never been asked that before. I know Einstein wrote his special theory in 1905 and it wasn’t until 1919 when they did an experiment involving a solar eclipse that Einstein was vindicated. So is there an example like that in economics? What springs to my mind is usually the opposite. Economists will see empirical regularities in the data and become famous for having named some empirical regularity and then shortly after that it stops happening. And so that’s the reverse! Nigel Warburton: It’s quite interesting because with Einstein the prediction couldn’t possibly make the results happen. But in economics they could, conceivably. Robert Shiller: Yeah, because economics deals with people. One of the great concepts in economics came from the sociologist Robert K. Merton who in the 1940’s wrote an article called ‘Self-fulfilling Prophecy’; he coined that term in the 40s. And that’s exactly what the great depression was, a time when people became pessimistic about the economy and they stopped spending, so it made it happen. It also refers to a reason why economists are loathe to predict depressions, because they feel that it’s anti-social to set in mind a course in thinking. Especially central bankers feel reluctant to do that. Nigel Warburton: I can see that somebody could predict a depression and it happens. But that causes of it they can get completely wrong, they can be accurate about the outcome but the explanation of why it has occurred, because it is so complex with so many factors, there might be five different competing explanations all equally probable. Robert Shiller That’s right. Well, first of all important recessions come rarely, so in your career as a social scientist it might come once or twice. So you won’t prove anything from having said it. The other thing is that there will be many people numerically, you know, 20 people maybe that predicted it, all for different reasons and you can never figure out after the fact which one had the correct reason. It’s a shortage of data. I’m talking about a particular problem in macroeconomics, especially when we have global recessions. Global recessions don’t happen that often, and when they happen they are really big, and that’s not something that any scientific method involving statistical analysis can handle. Nigel Warburton: So what is the value of this kind of behavioral economics then? Robert Shiller: We are learning amazing things about human behaviour, we could also add neuroscience. It seems to me that the profession advances by bringing in insights from other professions. And the place where 20 years ago I would least have expected it is the medical school. But you know people from the medical school are now coming into economic seminars because they go back to their lab and they can do an MRI or single-neuron study and see what’s happening inside the brain. It used to be that we had no insight, we believed in what Samuelson called ‘revealed preference’. We will look at people’s functions of their mind by seeing what they do in their economic actions and there’s no other way. But now we can look inside the brain and see something. One thing about behavioral economics incorporating neuro-economics is that it’s going to be a very productive field in the next twenty years and it’s going to change our thinking about the economy. Nigel Warburton: Well given all these different developments in the social sciences, in psychology, in neuroscience, does that make it more likely that economists are going to be good at predicting the next crash? Robert Shiller: Well, what it should do, economists’ analysis should inform better public policy and reduce the frequency of crashes. We don’t want to have these crashes in the first place. And so they will be unsung heroes who saw something coming and averted it. It’s just like the guy who designed the traffic lights and he prevents accidents. You don’t go to this person thankfully saying ‘you prevented my accident’, you don’t even know that the person prevented it. So that’s the kind of world where economists will fade into the background, just like the street planners in the city, and yet be doing good things. Nigel Warburton: Robert Shiller, thank you very much. Robert Shiller: It’s a pleasure. This entry was posted in International Debate, Public Engagement, Public Policy, Research, Resources, Science & Social Science, Social Science Bites and tagged Banking, Behavioral economics, Debt Crisis, Depression, Economics, financial crisis, Free Market, Global Recession, Macroeconomics, Market Forces, Rationailization, Rationalisation, Recession, Robert K. Merton, Robert Shiller, Self Fulfilling Prophecy, statistical analysis. Bookmark the permalink. Post a comment or leave a trackback: Trackback URL. Robert Shiller on the value of sociological and neuroscientific insights | An Introduction to Behavioral Economics 2nd ed. Wonderfully lucid discussion. One angle neglected, probably a sacrifice to concision, is the effect of economics’ rationality and utility-maximizing assumptions on public discourse and even individuals’ self-understanding. In a small way at least, economists’ descriptions have been self-fulfilling: we imagine ourselves, to some degree, as self-interested agent because economists have been describing us this way for decades. I still do not see economic-social commentary dealing with dishonesty. It must be part of human decision making, rationalization, and gambling behavior. We all know now how often it occurs.